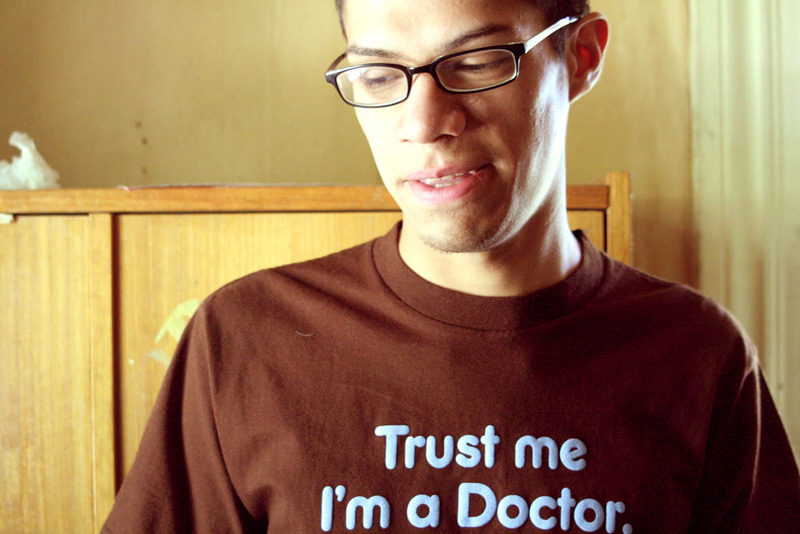 Working with bugs professionally, it turns out, does not make you immune to the jeebies. A survey by American Entomologist magazine found that arachnophobic entomologists do exist. They're not even that hard to find, if you're willing to turn over a few rocks. 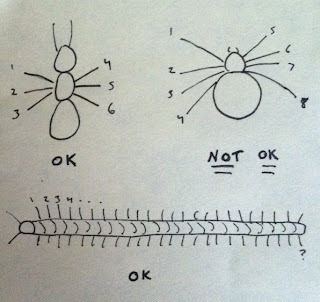 The survey, performed by retired spider researcher Richard Vetter, turned up 41 working entomologists who are afraid of spiders (or at least averse to them). Fifteen agreed with the statement "Spiders are one of my worst fears." On a list of things about spiders that might bother them, more than half of the fearful entomologists said "many legs" was an important trait. Flies or cockroaches or centipedes might be no problem, but eight legs is, apparently, crossing a line. One forensic entomologist in the survey works with maggots, and said that she "would rather pick up a handful of maggots than have to get close enough to a spider to kill it." That's a hard statement to sympathize with, but at least her anti-legs bias is consistent. 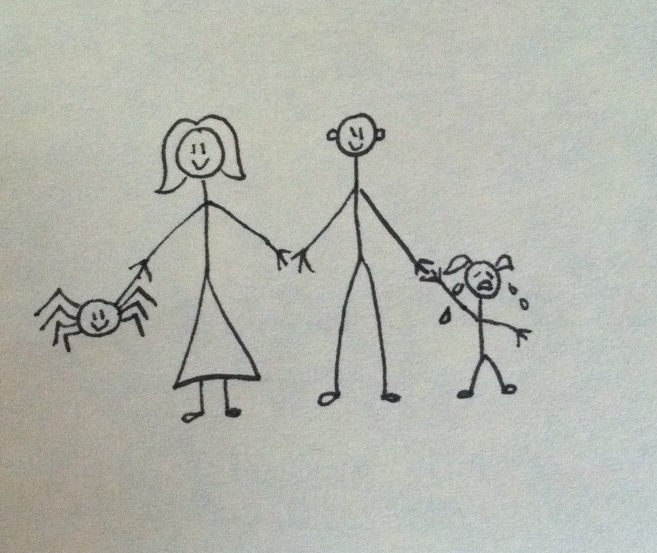 "Several respondents stated that family members tormented them with spiders," Vetter writes, perhaps contributing to the development of their fear. 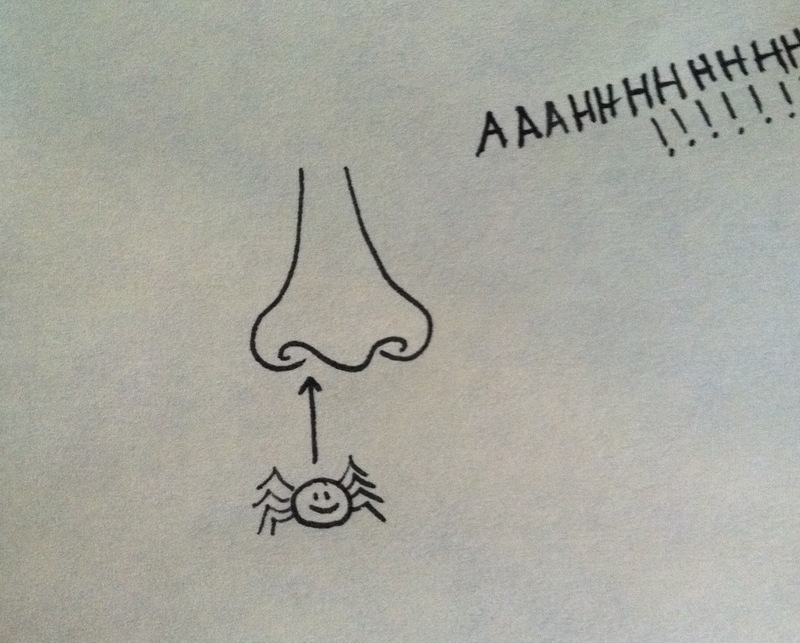 In survey respondents, just like in the general population, arachnophobia usually arose in childhood. One entomologist's parents warned her at an early age—when she had the chance to hold a tarantula at an exhibit—that spiders are dangerous. She may have accepted their lesson a little too well, because her survey responses put her in the range of clinical arachnophobia. Another subject's parents tried to instill an appreciation of spiders, explaining that they're good and helpful bugs—but the message must have gotten distorted somewhere. Siblings received some blame too. One entomologist said that when she was six, her older sister used to chase her around the house holding dead spiders in tissues. Of the preserved spider collection she manages at a museum, she says, "They still give me the jeebies." Some people traced their fear to an especially upsetting event. One woman had watched an egg sac hatch on her mattress, releasing baby spiders everywhere. (Her father had also teased her with a large spider when she was younger.) Today her arachnophobia is so strong she has considered therapy, but prefers to just avoid looking at pictures or passing in front of posters of spiders. One imagines this is difficult for an entomologist. "It disappeared, and, in a few seconds of utter, shocking horror for me, began running over my face and into one of my nostrils. Somehow maintaining control of the vehicle, I snorted out with all my force, and dislodged it. After finding a place to park and collect my wits, I searched the van in vain for almost an hour, before giving up and getting back on the road. That was not a good day." 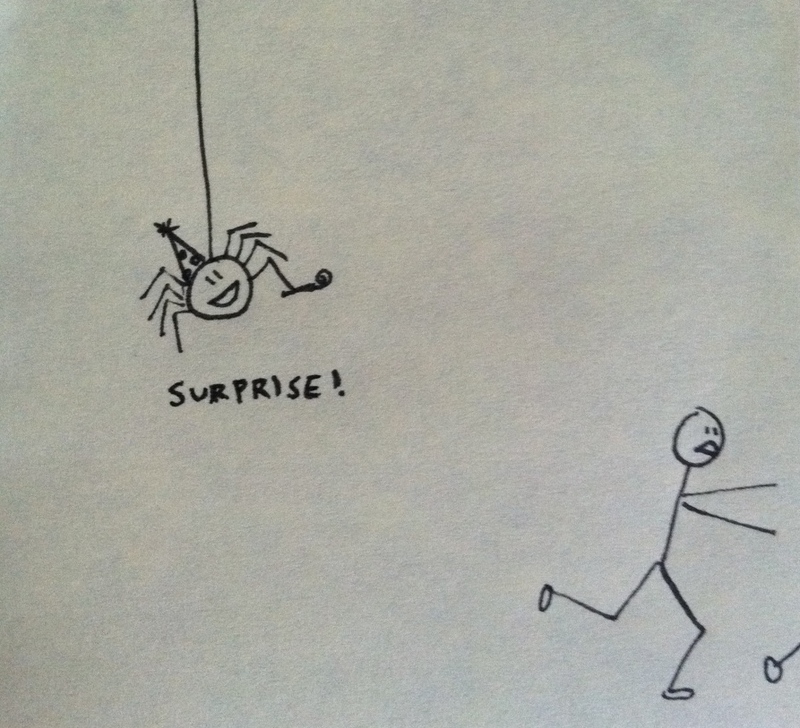 Spiders probably aren't anyone's favorite surprise. 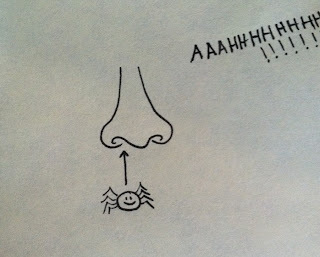 And in fact, Vetter found that arachnophobic entomologists are pretty much like any other arachnophobes. Their fears develop early on, and persist even if they're clearly irrational. 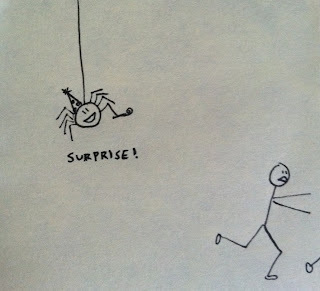 Like phobic entomologists, arachnophobes in the general public may hate particular spider traits such as their unpredictability, jerky walking style, or hairiness. Unlike garden-variety arachnophobes, though, arachnophobic entomologists happily devote their careers to other creepy-crawlies. They don't find anything gross about bugs in general—as long as those bugs have the right number of legs. 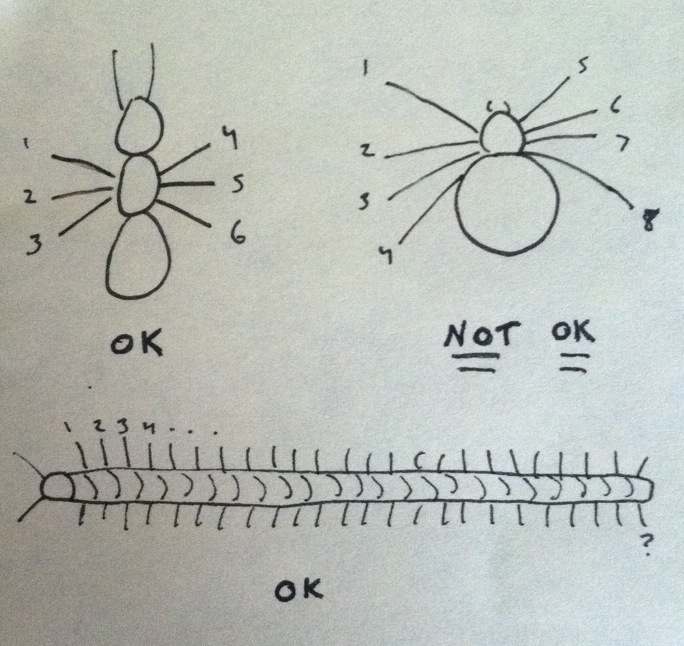 Vetter, Richard S. "Arachnophobic Entomologists: When Two More Legs Makes a Big Difference." American Entomologist Fall 2013 (171-177).